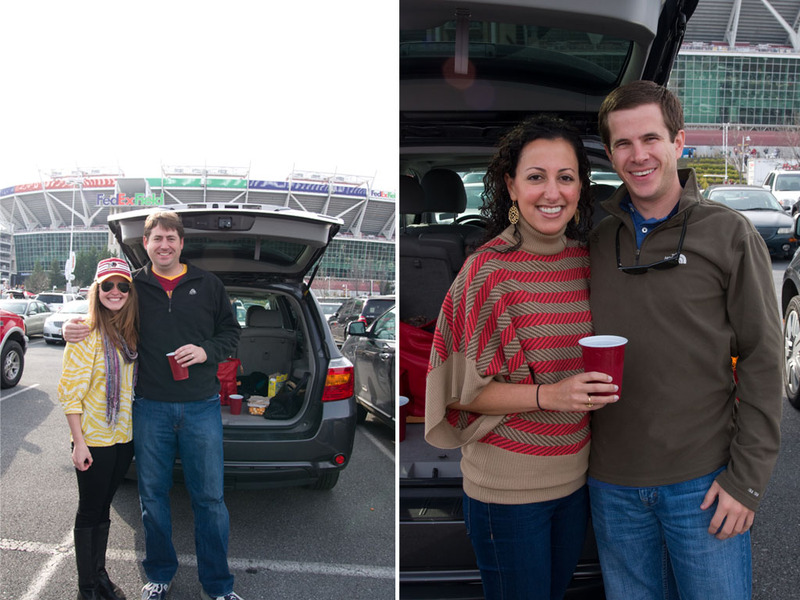 It's amazing that Andy and I have been together for 5+ years, yet I had not been to see his beloved Redskins play! Honestly, by the way he described the games, I can't say I was chomping at the bit to go but that all changed when the right invitation came along! Sweet friend Adriana had tickets to a suite with a rock star parking pass and asked if Andy and I wanted to join her and her boyfriend... uh, yeah!! This is my kind of sports-- front row parking, private entrance, greeted at the door with a brownie and unlimited hot dogs! And to top off a wonderful day, Stacy had us over for homemade deep dish pizza-- ooey, gooey, cheesy, goodness. I had such a fun and wonderful weekend-- perfect weekend to end my 20s!